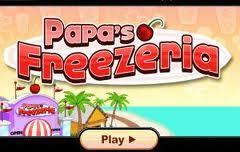 The last (for now) of the Papa’s games is Papa’s Freezeria. In this one you take the person’s order find out what flavor of ice cream they want, what topping thing that you mix in they want, and how mixed they want it. After you mix it you then add more toppings, whip cream, and things like chocolate sauce. In this you can also decorate the store, once you buy a poster or whatever you can put it wherever you want it. You still have closers in this and you still have Jojo. 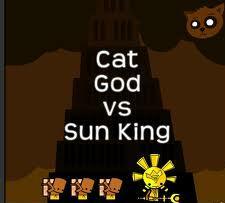 Out of all the Papa’s game this is my favorite game, in fact I didn’t even know it came out until I found it on kongregate.com. 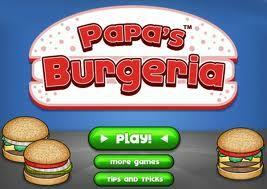 Papa’s Burgeria nest game in the Papa’s series (after Papa’s Pizzeria). 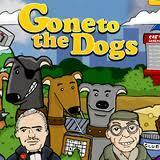 This game is similar to Papa’s Pizzeria except you make burgers, not pizzas. 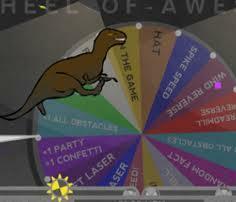 In this game you can cook the burger to rare, well done, medium rare, or whatever the customer asks for. You also get to build the burger with toppings and extras. You have to make the customers burgers quickly though, the customers aren’t patient. If you make them wait to long you won’t get a good tip!